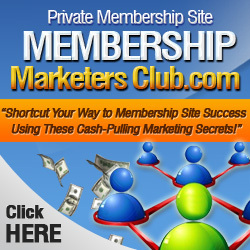 Membership sites are a great way to make recurring income online. If you’re thinking of starting your own site or you already have one going, here are a few quick tips for success with your membership site. They will help you simplify your content creation process, get affiliates to promote your site and get new members. Your membership site’s success depends on the new content that you deliver each month, every month. If you want to cut down on your content creation time, consider hiring a ghostwriter to provide your site with articles, reports and blog posts. When you use a ghostwriter you’ll be able to concentrate on your strengths (like promotion) rather than struggling with the writing. When you outsource, you don’t have to worry about being a good writer or knowing a lot about your topic. You can have professional content that gives the site value without writing it yourself. Studies have been shown that outstanding graphics can compensate for average content. Of course, this isn’t an excuse to produce lackluster content. But if your site looks good, people will want to be part of it! Your site’s graphics don’t have to be overly fancy, but they do need to look good. If you’re not a pro at graphics, you should find a website designer to give you the professional look that you need to draw in customers. You may be able to barter with a designer for free graphics by offering a free membership to your site. 3. Have two or more levels of membership. Creating two levels of membership or more can help you draw in a wider customer base. You can help people join the site who might not be able to if the price is higher, but you still have the opportunity to get a higher monthly fee from those who want the added benefits of being in the top tier. To encourage more sign ups, you can have a free membership level, a silver level and a gold level. 4. Use a blog to promote your membership site. Create and maintain a blog outside of the gates of your membership site in order to build traffic and increase your presence within the niche. You can maintain your blog as part of your main website or create it on a completely different domain. Blog about popular topics in the membership site’s forum and give teasers about the content that members are receiving. When you give quality content and mix in references to your membership site, you’ll create credibility and get new members for your sites. 5. Add video to your membership site for major impact. Video marketing is the next revolutionary step on the Internet. You can be part of this growing movement by adding video to your membership site. Most anything that can be expressed in writing can be made into a video. Whether you use traditional video where you talk in front of the camera or screen capture video technology like Camtasia, you can offer top quality content for your members through this new media.